Green Hill Farms is proud to introduce Great New Hostas to all facets of Hostadom, hosta collectors, hosta nurseries and hosta clubs. We are however primarily a wholesale nursery offering new hostas in large and small quantities to other wholesalers and hosta retailers. Our exclusive introductions are unique hostas from the best hybridizers with miniature hostas and hostas with “red” petioles and leaves being our special niche. We pride ourselves on shipping high quality bare root stock and also hosta liners, (plugs). Basically we sell three products, bare root plants, hostas in 3” pots, and Classic Hosta Liners™. Our 3” hostas in pots can be also shipped bare root to save shipping but can also be shipped 20 per flat, minimum of 5 per cultivar, in their pots. Miniature hostas are often shipped in their pots and then can be sold right away. Our bare root plants are grown one or two seasons from a liner. Our newest hostas are generally one year plants. Medium to large hostas are usually single divisions, some doubles, and miniatures are often little clumps. We do not divide these hostas, you will get the entire container grown plant. Our hostas are famous for their large root systems and great roots make great hostas. Bare root plants are sold in minimum quantities of 5 each. 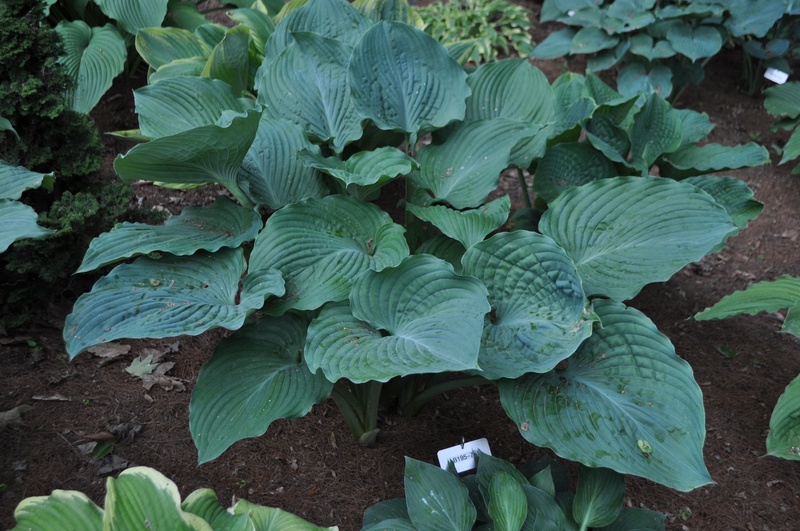 Our Classic Hosta Liners™ are in plug trays 96 per flat. We publish a January list for liners that have been overwintered outside here at the nursery. They are very well rooted and were potted the summer before they are offered. They can usually be potted and sold in a 3” pot if a miniature or a quart if a larger hosta in mid to late summer or sooner. We also publish a June list of Classic Hosta Liners™ that are produced here at the nursery each spring and are well rooted actively growing plants that will usually fill a quart or larger pot by the end of the growing season. These are our newest offerings and shipping usually begins the middle of June for them. We will also update availabilities throughout the summer and early fall. All our Classic Hosta Liners™ from all lists are ordered in minimums of 12 per cultivar, they come in 12 packs, with a minimum total order of 48 plants, half a flat. Overwintered liners can be shipped in plastic bags to save shipping costs. Shipping. We can ship hostas year round, dormant or actively growing. Our hostas emerge in late March and we can ship you a fully flushed out bare root hosta in May ready to pot. These plants are usually ready to sell in 2-4 weeks depending on your weather. We only charge you for the actual cost of shipping, usually UPS, no box or handling fees. We require a $350 minimum first order as well as minimum numbers of plants on your wholesale orders, see above. We also require a credit card payment or check in advance for your first order until credit can be established. Any questions? Call Bob at 919-309-0649. Order with the order form (top right) or call.